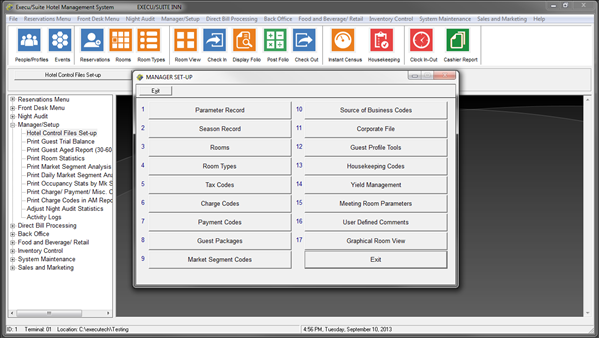 Most of your hotel's data and parameters are entered into the system in Manager/Setup. If you are setting up Execu/Suite for the first time, enter the data in the order on the Control Files Setup menu, starting with Parameter Record. This menu is shown below.